There are two major economic downturns each century and one large depression every 172 years. Above is a recent chart of the most in-debt countries in the world. The majority of them are bankrupt. And unfortunately, you can’t spend your way out of debt (contrary to what some economists think). It’s generally agreed that the sustainability level for government debt is 60% of GDP. If you exceed that level it’s impossible to pay back the debt. In other words, you’re bankrupt. That’s when GDP is in good shape. In a depression, of course, GDP dives and we go into a period of spiralling deflation. Deflation balloons debt. Governments will fight like crazy to avoid deflation because it’s absolutely the worst scenario for them. Over the next few years, we’re going to see huge volatility within the world of finance. If you know where the world is headed and you’re prepared, you can capitalize on the massive changes ahead. 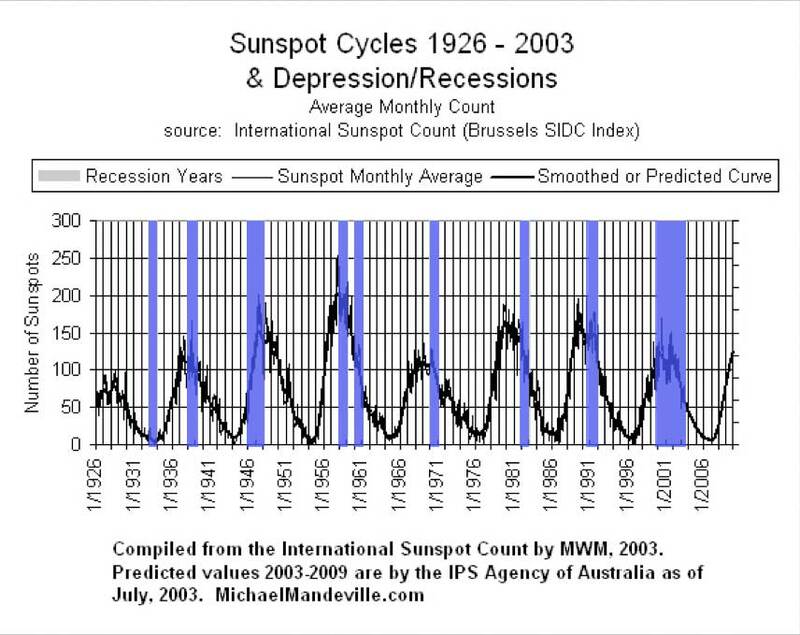 For the past several decades, sunspot maximums have been followed by either a depression or a recession. Here are some numbers (as June 2014) to keep in mind that will help position the gravity of the international debt problem (Care of the Economic Collapse Blog).